Brownies. 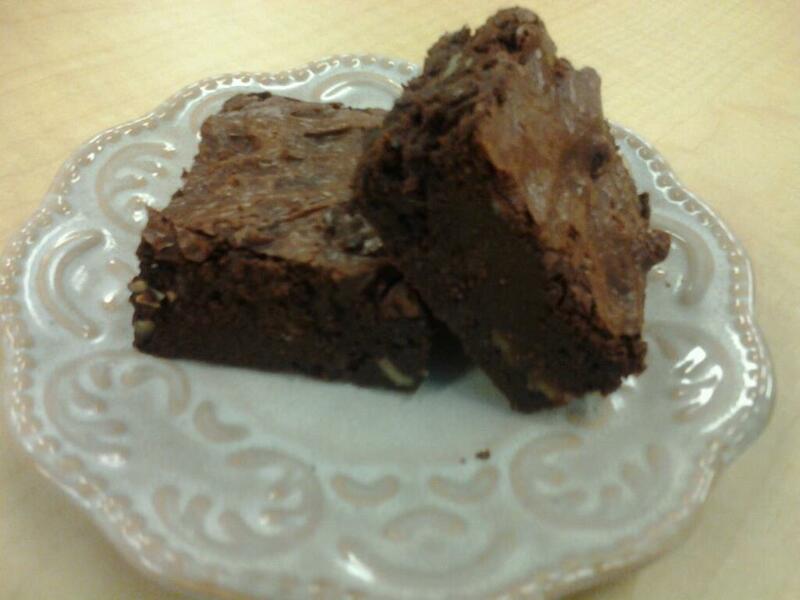 Who doesn't love a good brownie? I consider brownies to be on the of the all-time classic comfort desserts, right up there with the Chocolate Chip Cookie. Everyone should have a great homemade brownie recipe in their collection and, in my opinion, this is one of the best. The secret? A full arsenal of flavor - brown butter, toasted walnuts, chunks of high-quality chocolate and espresso powder! If you have never used brown butter in your baking, you should give it a try. This technnique transforms the flavor of the butter and gives it a rich, nutty flavor. Toasting the walnuts brings out the oils and (believe it or not) makes them taste even more nutty. Chunks of chocolate? Well that's a no-brainer and the espresso powder enhances the flavor of chocolate. Whether you're a fan of fudgy, chewy or cakey brownies, this recipe will appeal to everyone. I hope you give it a try and it becomes your go-to brownie recipe. Preheat oven to 325 and line a 13x9" baking pan with non-stick foil or spray regular foil with non-stick cooking spray. 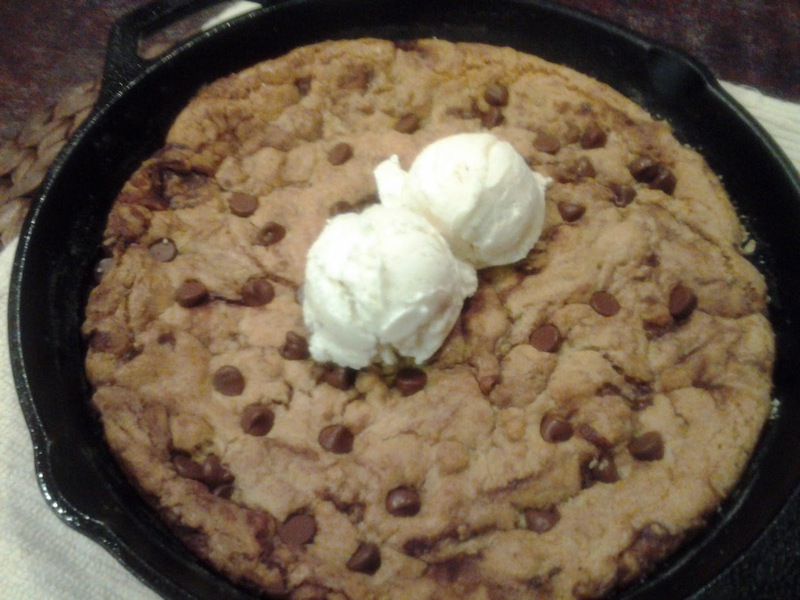 I usually use a glass baking pan. Combine the water and espresso powder in a small bowl. Set aside. Combine the sugar, cocoa powder and salt in a large bowl. Set aside. In a small saucepan, melt butter over medium heat. Continue cooking, stirring often, until the butter stops foaming and brown bits form at the bottom of the pan. 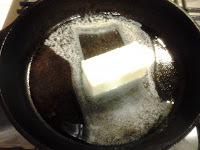 This process could take 5-10 minutes depending upon how cold your butter was when you put it in the pan. 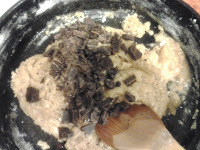 Remove from heat and pour immediately into th cocoa powder mixture. Add water, vanilla and espresso powder and stir to blend. Allow to cool 5 min. 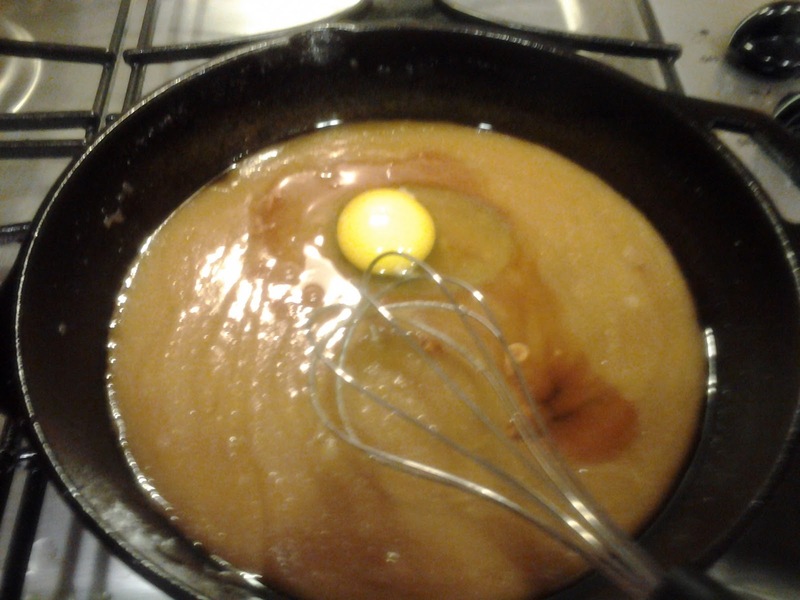 After 5 min, add eggs to mixture one at a time, beating vigorously to blend after each addition. When mixture looks thick and shiny, add flour and stir until blended. Ok, here's where you get a little bit of a workout and burn calories so you can eat more brownies...Beat vigorously for 60 strokes. This will give your brownies that shiny, crackly top that's the trademark of a good brownie. Fold in nuts and chocolate chunks. Spread into prepared pan and bake approx 25-30 minutes or until a toothpick inserted in the center comes out with a few moist crumbs. Watch your brownies carefully during the end of the baking time as all ovens are different and there is nothing worse than an underbaked or overbaked brownie. Allow to cool completely in pan. Remove, cut and enjoy! These brownies are best when eaten within 2 days. Store in an airtight container at room temperature. Melt butter in a cast iron skillet over medium-low heat. Add sugars and vanilla and stir to combine. Remove from heat. Allow to cool about 5 minutes then add egg and whisk well to combine. Add flour mixture and stir just until combined. Stir in chocolate chunks. Top with additional chocolate chunks and nuts (if using). Bake at 350 for 15-20 minutes or until set. It should still be slightly soft in the center. Do not overbake. Remove from oven and allow to cool a few minutes. Top with ice cream and drizzle with caramel and chocolate sauce if you dare! Blueberry Muffins....the quintessential breakfast food. 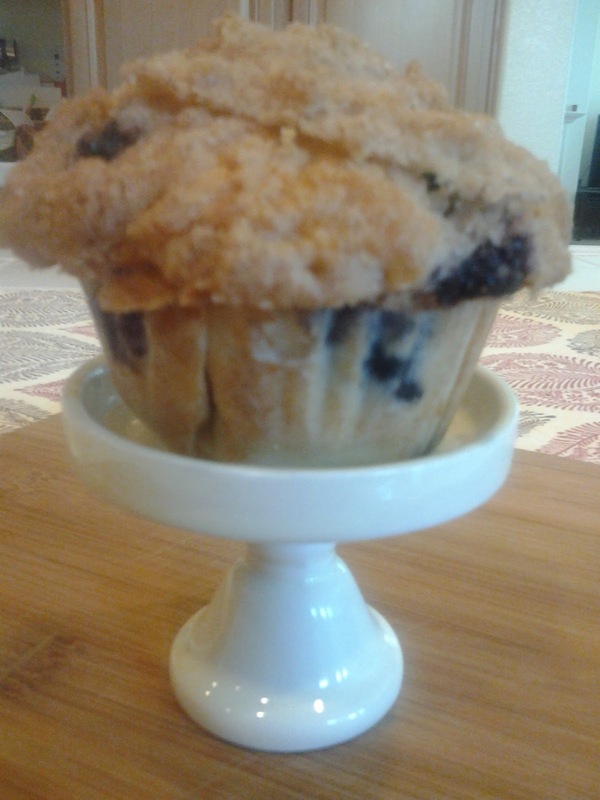 Who doesn't love a good Blueberry Muffin with their morning coffee? I have tried many Blueberry Muffin recipes in my time and this one really is the best....light, moist, tender and bursting with blueberries. The crumb topping gives them a crunch and puts them over the edge. I hope you'll try this recipe & love them as much as I do. Preheat oven to 400 degrees. Line regular size muffin tin with paper liners or spray with non-stick cooking spray. Rinse and dry the blueberries. 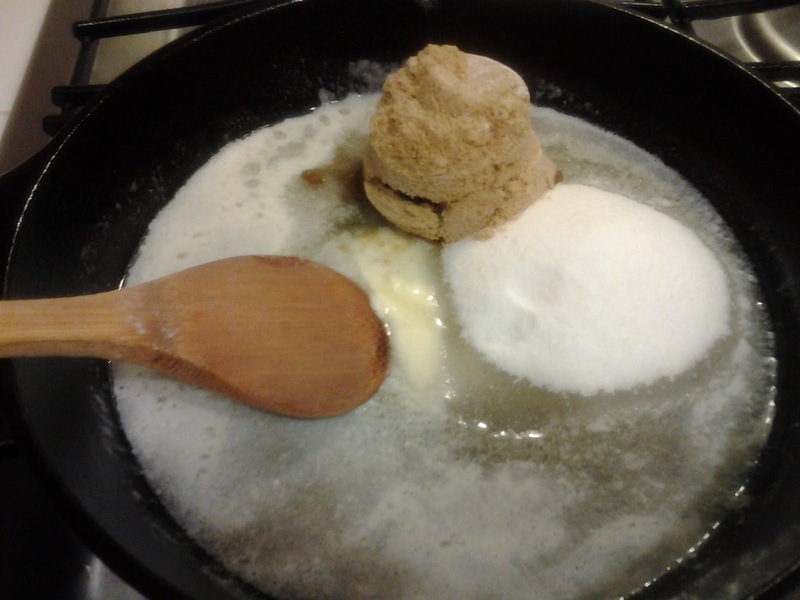 In a large size bowl combine the flour, sugar, salt and baking powder. Whisk together to combine. In a small bowl combine the oil, milk and egg. Whisk to combine. Make a well in the center of the dry ingredients. Pour the wet ingredients into the well and with a rubber spatula fold until just combined. Do not overmix or your muffins will be tough. Tough muffins bad...light, tender muffins good! Using a large cookie scoop, evenly scoop the batter into the muffin tin. The muffin cups should be approx 2/3 full. Combine the topping ingredients in a small bowl, cutting the butter in with a pasty cutter or 2 knives. Sprinkle evenly over the muffin batter. Press lightly. Bake for approx 20-25 minutes or until done (a toothpick inserted in the center should come out clean). Careful not to overbake. Cool in the muffin tins approx 10-15 minutes, or until easy to remove. Enjoy warm or at room temp! Store in air tight container for up to 2 days.